In this post we will study about Fold Mountains and Block Mountains. For Classification of Mountains refer my previous post. Fold mountains are formed when sedimentary rock strata in geosynclines are subjected to compressive forces. They are the loftiest mountains and they are generally concentrated along continental margins. Fold mountains can be divided into two broad types on the basis of the nature of folds. Simple fold mountains with open folds in which well-developed systems of synclines and anticlines are found and folds are of wavy patterns. Complex fold mountains in which the rock strata are intensely compressed to produce a complex structure of folds. In the Himalayas, over folds and recumbent folds are often found detached from their roots and carried few hundred kilometres away by the tectonic forces. These detached folds are called ‘nappe’. On the basis of period of origin, fold mountains are divided into very old fold mountains, old fold mountains and Alpine fold mountains. They are more than 500 million years old. Rounded features (due to denudation). The Appalachians in North America and the Ural mountains in Russia. Old fold mountains had their origin before the Tertiary period (70 million years). The fold mountain systems belonging to Caledonian and Hercynian mountain-building periods fall in this category. They are also called as Thickening relict fold mountains because of lightly rounded features and medium elevation. Top layers worn out due to erosional activity. Example: Aravali Range in India. The Aravali Range in India are the oldest fold mountain systems in India. The range has considerably worn down due to the processes of erosion. The range rose in post Precambrian event called the Aravalli-Delhi orogeny (Silurian and early Devonian periods). Alpine fold mountains belonging to the Tertiary period can be grouped under the new fold mountains category since they originated in the Tertiary period. Examples are the Rockies, the Andes, the Alps, the Himalayas, etc. Fold mountains belong to the group of youngest mountains of the earth. The presence of fossils suggest that the sedimentary rocks of these folded mountains were formed after accumulation and consolidation of silts and sediments in a marine environment. Fold mountains extend for great lengths whereas their width is considerably small. Generally, fold mountains have a concave slope on one side and a convex slope on the other. Fold mountains are found along continental margins facing oceans. Fold mountains are characterized by granite intrusions on a massive scale. Recurrent seismicity is a common feature in folded mountain belts . High heat flow often finds expression in volcanic activity. These mountains are by far the most widespread and also the most important. They also contain rich mineral resources such as tin, copper, gold. Mountain ridges refer to mountains which originated as a result of local folding and faulting. Generally, the slope of one side of the ridge is steep in contrast to the moderate slope on the other side [In case of Himalayas, the southern slope is steeper compared to the northern slope]. In some cases a ridge may have a symmetrical slope on both sides. It refers to a series of ridges which originated in the same age and underwent the same processes. The most prominent or characteristic feature of mountain ranges is their long and narrow extension. 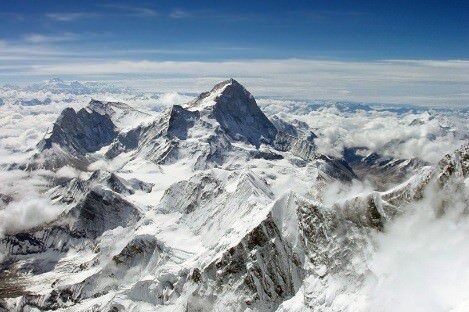 Example: Himalayas are a mountain range with Himadri ridge, Himachal ridge and Shiwalik ridge. A group of mountain ranges formed in a single period, similar in their form, structure and extension, is termed a mountain system. 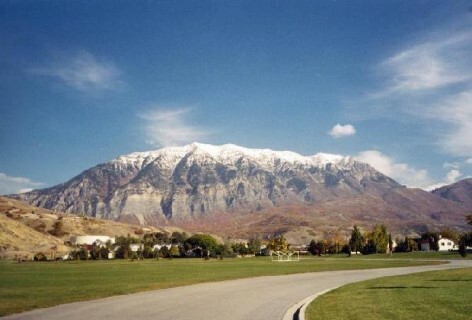 Examples are the Basin Range of Nevada (USA), the Rocky mountain system of North America and the Appalachian. It consists of mountain ranges which differ in size and periods of formation. It refers to highlands composed of different types of mountains viz., fold, block or volcanic mountains although there is a proper arrangement of the mountains. Cordillera refers to several mountain groups and systems. Cordillera is a community of mountains which includes ridges, ranges, mountain chains and mountain systems. The best example is the Western Cordillera in the western part of the USA and in British Columbia of Canada. Block mountains are created when large areas or blocks of earth are broken and displaced vertically. The uplifted blocks are termed as horsts and the lowered blocks are called graben. The Great African Rift Valley (valley floor is graben), The Rhine Valley and the Vosges mountain in Europe are examples. Block mountains are also called fault block mountains since they are formed due to faulting as a result of tensile and compressive forces. Block mountains are surrounded by faults on either side of rift valleys or grabens. Tilted block mountains have one steep side contrasted by a gentle slope on the other side. 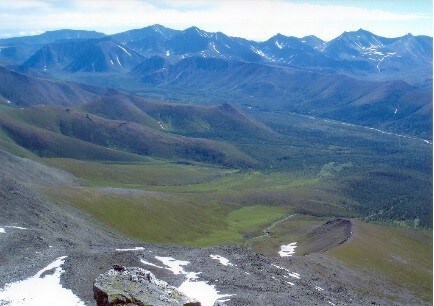 Lifted block mountains have a flat top and extremely steep slopes. The faulted edges are very steep, e.g. the Vosges and Black Forest of the Rhineland. 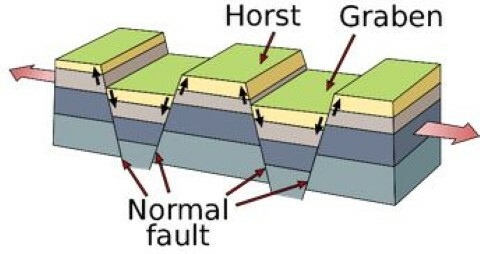 Tension may also cause the central portion to be let down between two adjacent fault blocks forming a graben or rift valley, which will have steep walls. The East African Rift Valley system is the best example. It is 3,000 miles long, stretching from East Africa through the Red Sea to Syria. 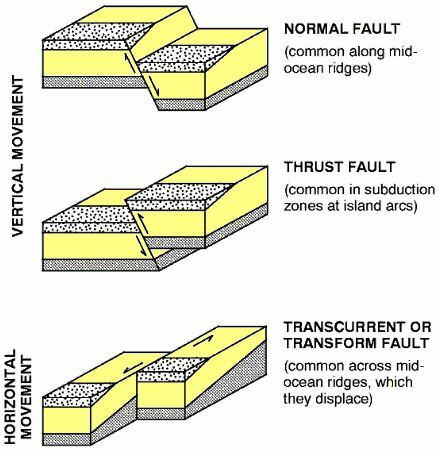 Compressional forces set up by earth movements may produce a thrust or reverse fault and shorten the crust. A block may be raised or lowered in relation to surrounding areas. In general large-scale block mountains and rift valleys are due to tension rather than compression. The faults may occur in series and be further complicated by tilting and other irregularities. Denudation through the ages modifies faulted landforms. A majority of geologists argue that block mountains are the product of faulting. Sometimes, the surrounding blocks subside leaving the middle block stationary. Such cases are found in high plateau regions. Block mountains may originate when the middle block moves downward and becomes a rift valley while the surrounding blocks stand higher as block mountains. Volcanic mountains are formed due to volcanic activity. Kilimanjaro in Africa and Mt.Fujiyama in Japan are examples of such mountains. These are, in fact, volcanoes which are built up from material ejected from fissures in the earth’s crust. They fall around the vent in suc­cessive layers, building up a characteristic volcanic cone. They are common in the Circum-Pacific belt and include such volcanic peaks as Mt. Fuji (Japan) Mt. Mayon (Philippines), Mt. Merapi (Sumatra) etc. These are mountains evolv­ed by denudation. Where the general level of the land has been lowered by the agents of denudation some very resistant areas may remain and these form residual mountains, e.g. Mt. Manodnock in U.S.A. Residual mountains may also evolve from plateaus which have been dissected by rivers into hills and valleys. Examples of dissected plateaux, where the down-cutting streams have eroded the uplands into mountains of denudation, are the Highlands of Scotland, Scandinavia and the Deccan Plateau. The mountains are a storehouse of water. Many rivers have their source in the glaciers in the mountains. Water from the mountains is also used for irrigation and generation of hydro-electricity. The river valleys and terraces are ideal for cultivation of crops. Mountains have a rich variety of flora and fauna.